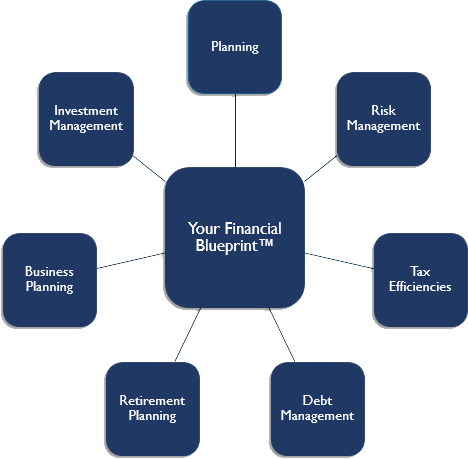 Our process begins with co-authoring a financial blueprint with each client. This blueprint is specifically tailored to each person and his or her goals. Only after it’s completed can we effectively make suitable recommendations or make introductions to other strategic professionals that address these facets of a complete plan.